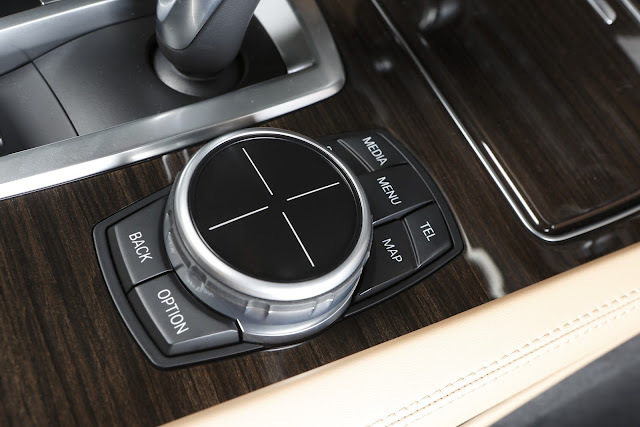 The fingers on our hands is quite simply the most natural input device most of us are born with, the new BMW iDrive Touch Controller is the latest innovation which connects technology to our natural ability of touch. Now you can simply pinch to zoom in and out very much like the popular touch screen smart phone. Read the press release and view a gallery of this new innovation after the jump. 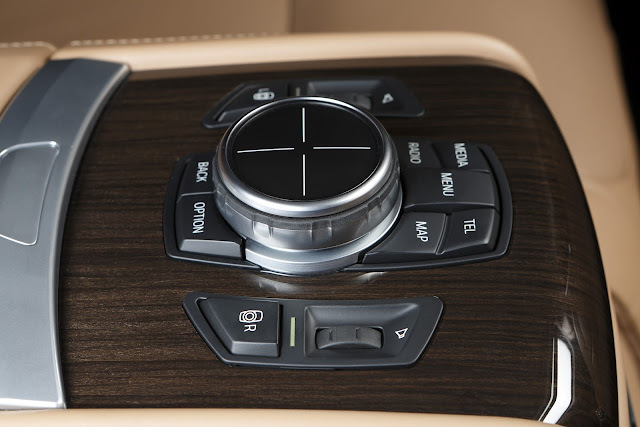 Press Release: The introduction of the BMW iDrive Touch sees the development team at the BMW Group integrating a touch-sensitive pad into the iDrive system’s central control unit, the iDrive Controller, for the very first time. Measuring 45 mm across, the multi-touch surface makes certain in-vehicle control functions more intuitive, faster and easier to use. Handwriting recognition: The handwriting recognition function enables characters to be entered with the finger by simply “writing” them on the surface of the touchpad. Whereas previously this could only be done with the “Speller” – a circular arrangement of letters in the display – by turning the control knob, the touch-sensitive surface now recognizes the letters and the Speller instantly jumps to the right point of the alphabet. To further reduce driver distraction, a voice output repeats the character that has been recognized. Map navigation: Apart from recognizing handwriting, the iDrive Touch also makes it possible to navigate freely within the route map shown in the display and zoom in on it, too. The scale is changed using the two-finger pinch gesture already familiar from many laptops und smartphones. If there is a traffic jam ahead, for example, the driver can adjust the scale of the displayed portion of map using the touchpad, move the view to the hold-up and take a look at the suggested alternative route. The driver can also use touch control to mark the points of interest (POIs) stored in the map, then press the control knob to confirm his choice and display more detailed information. The later version of the iDrive Touch will furthermore allow the mouse pointer to be moved across the display while surfing the internet, just like on a home PC. Pressing the iDrive Controller will then have the same effect as clicking with the mouse.